I'm dedicating this post to my dear friend, Leslie. Recently I was pondering why some people enjoy being called to repentance and others do not. I believe the difference is a broken heart. A hard heart is impenetrable. Through years of hardening, it is incapable of being broken. It is a force to be reckoned with, and nothing, not meekness, love, passion, integrity, anger or force will break it or penetrate it. A soft heart is breakable. It can only be broken by permission. CHOICE. It too is a force to be reckoned with. It thrives on being pricked, allowing the darkness and sin to escape out through experiences, and begs for cleansing and healing waters. It receives fullness with meekness, love, passion, integrity, and joy. And so much LOVE. I was also pondering what it means to a soul to have experienced a broken heart, and contrite spirit. Whereas those who have not experienced a broken heart are impenetrable, those who have experienced a broken heart are easily broken, again and again. And yet while they are broken, they long to be put back together again. They long for their darkness to be poked out through their holes, whether it be God doing the poking or other humans. When they find themselves offended, they are more willing to be put back together through forgiveness. Hard hearts refuse to forgive. When our hearts are broken and put back together, and we unite in community with others whose hearts are broken and put back together, we become like cogs in a wheel. We make up one great whole, which operates the unit, although as a cog we may not even know that we are functioning as one, at least not yet. Without our individual rivets and divots, we would not function together. But with our unique shapes and forms, talents and blessings, put together we rotate as one – or ONE. And then there are what my friend Leslie calls "ribbons of love". I believe when we will be sealed through the power of the Holy Spirit, it will be also done with literal ribbons of love. Just as God spoke and the word "was" a literal thing, so is love a literal thing, although most of us cannot see it with our eyes. These ribbons of love connect us, wrap around us, and the extend to others. Some may call these ribbons by different names. Energy workers call them "cords". Christians may call them "workings of the Spirit". We use different names but the principle is the same. Invisible ties that "bind" or "seal" or form connections that are invisible yet present nonetheless. Zion will be formed by those who have received or experienced a broken heart and a contrite spirit. And then our hearts will connected with these ribbons. 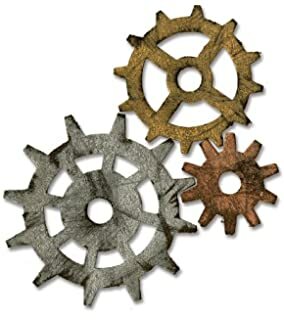 We will CHOOSE to be like cogs in a wheel, not forced to work together, but individual units who find pleasure and purpose in fitting together. Whether it be our spouse, or others in this society, I see that Zion – the pure in heart – will connect like cogs in a wheel. Freestanding on their own, but when connected they are very powerful indeed. With this new experience of broken hearts and contrite spirits, we have a responsibility to actively take our frustrations and discords out of our relationships. Should we be frustrated with a fellow broken-hearted friends, I believe those who are truly broken will receive the disagreement with meekness and gratitude for the correction. The Lord chastens those He loves, and sometimes He uses us mortals to help one another along these paths. I believe it is by this we may know whose spirits have been born again. We will be able to receive correction, chastening, and calls to repentance with gladness, so long as the sins are legitimate and the correction is not intended to destroy, badger, or control. And I believe by this we will recognize fellow members of the Lord's family because of the fruits of a contrite spirit and broken heart. What!!!! I am famous!!! I love this. Love, love, love this!! This is what we talked about and written down it is so beautiful. I gotta study this bad boy and make it more a part of me and my understanding. Ha!!! You are famous!!! haha! At least in my little world. :D I'm grateful you asked me to get in written down. I know there are parts that I missed but hopefully we've got the highlights captured. I love the principle though. Thank you for sharing it with me/us!